Work Spaces Are Vital to Productivity - Improve Yours Now! The space where you work has a huge effect on how you work and your capacity to focus and be productive. It equates to the design of your office, whether it’s in a company or at home. It’s how a offices can be turned into more productive work spaces by changing some things that most people take for granted. Your physical environment is one of the most important factors in defining an employee’s capability to focus. When your work space are well designed, productivity can increase by as much as 20 percent. However, employers do not normally consider it a good investment to spend money on an efficiently designed workplace. Overall, a company’s productivity depends on team members and the company environment, with work spaces and their design being the strong bridge between the two. It is understandable that the configuration of a workplace depends on the nature of the business. However, there are common ways that any company can take to bring in a model for their work spaces. If it is possible, make use of natural light supported by artificial light. Excellent lighting is an important factor in helping team members stay focused and inspired. Bad lighting contributes to irritability, headaches, eyestrain and fatigue. Feelings of depression are brought about by dark spaces. If general lighting in the office cannot be controlled, allow team members to bring their own. Or you can invest in a smart lighting system that provides soft to bright light for work spaces with timers connected to the web. As a business owner, you set your business goals, which will be influenced by your workforce’s characteristics. You have to decide whether you’re going to measure productivity per square foot of office space or by the happiness factor of your employees. This of course hinges on how you look at your employees. Do you consider them as individuals? Do you consider the number of hours they sit at their desks and the amount of interactions they have with their co-employees? In the end, you may discover that only one productivity metric is enough, although in some cases, it may be a combination of several metrics. Several years back, the physical layout of work spaces consisted of private offices for company executives and individual cubicles for the general staff. Today, the design has shifted to open-office designs where whiteboards become movable walls and standing desks are available. The modern layout emphasizes flexibility, teamwork and focus. A modern and innovative company tends to balance individual and group work spaces, providing a mix of 45% private office and 44% open office. As always, this ratio will depend on the nature of your business. An open space is great for the sales team because it promotes movement and conversation. 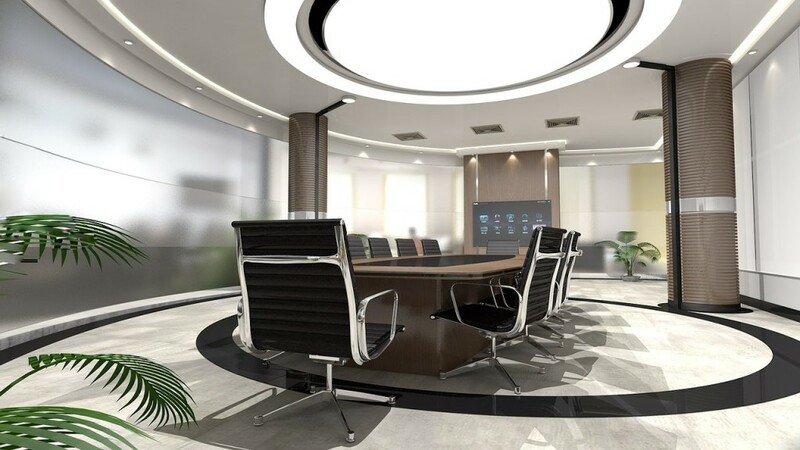 The members of the think-tank in your company will greatly appreciate a work space that is quiet in order for them to concentrate and focus without too much distraction. When you have a modular layout, your employees can move about the different spaces as needed, meeting ideal environments simultaneously. Your team’s productivity and wellbeing can be greatly affected by their ability to change their work spaces during the workday. This is not meant as serious, major alterations. If they are located beside a window, it can be a matter of installing adjustable window blinds. As they sit behind their desks for long hours, many workers suffer various aches and pains. The common complaints are lower back pains, neck pain, eyestrain, pain on the shoulders and pain on the wrists. Many modern companies now have desks with adjustable heights to encourage employees to work standing up. This method of working has health benefits. It can reduce the risk of obesity. It promotes physical activity, lowering the risk of colon and breast cancers that are linked to prolonged sitting. It also helps in having better posture. This is more an individual approach but it could be encouraged office-wide. It can be inspirational to personalize work spaces, so allow your employees to have some items from home that can give them focus and inspiration. However, there should be a limit to how much personal items they can bring. It is also important to minimize clutter on an employee’s desk and his or her immediate vicinity, as they can be distracting not only to the employee but also to other team members. It will be more productive if an employee can immediately find the things that are needed at the moment quickly, which means that files, folders, documents and even files on hard drives must be sorted and organized. Most offices have neutral colors, such as beige, white or gray. These colors are not at all inspiring. Modern managers understand color theory, which states that there are several colors that can promote happiness, creativity and productivity. This includes orange, teal and aqua, red, yellow and green. In today’s work environment, flexibility and mobility are encouraged, and when possible, team members are allowed to sit where they will be most comfortable. That is why most modern offices have employee lounges and huddle corners. Some are able to install a recreation room as well. Talking with your employees, asking for suggestions and doing a bit of research and implementing effective changes can mean a boost in productivity. Previous post 5 Effective Language Learning Habits Worth Developing Next post The In-Betweeners Xennials: Who are They?